What is primary insurance coverage and what is considered excess coverage and how does this affect personal injury claims? The definition of “primary” insurance is coverage which immediately kicks in upon the occurrence of an event giving rise to potential liability. In addition, the insurance carrier holding the “primary” policy, usually has the immediate and prime duty to defend any claims against the insured (person or entity for whom the policy is written). For example, if you have auto insurance coverage, your “primary” policy would be invoked immediately upon being involved in a traffic collision, assuming all the obligations of the insured, such as prompt reporting of the claim, are met. That insurance provider will also immediately assign a claims adjuster to address the claims being made and attempt to resolve the claim. If a lawsuit is filed against the insured, that insurance company will also have an obligation to provide an attorney to defend the claims in court. 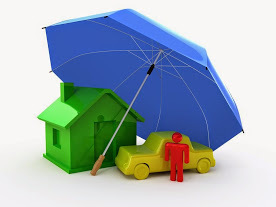 The “excess coverage” or “umbrella policy”, is, as its name suggests, only obligated to provide coverage over a specified limit stated in the “primary” policy. In some situations, excess policies may be layers upon other excess policies. In some of these states, you can stack coverage from multiple policies and some only allow stacking within a single policy. What are some common examples of “primary” vs. “excess” insurance related to claims for bodily injury? The most common example would be auto insurance related to traffic collision claims. Many auto carriers will issue an “underlying” or “primary” policy with a limit per occurrence and per person making a claim. Many of these same carriers will agree to issue additional “umbrella” coverage if the “primary” policy meets certain criteria such as having a specified limit. Most major carriers like State Farm, Allstate or Farmers Insurance, will have a minimum of either $250,000 per claimant and $500,000 per occurrence or $300,000 per person and $600,000 per accident as a minimum “primary” policy to qualify to purchase the additional “umbrella coverage (usually $1,000,000.00 or more). Surprisingly, the cost of premiums for this additional coverage is usually de minimus compared to the level of additional protection it provides. In the context of large retail stores like Home Depot or large grocery chains, the “primary” level of coverage comes in the form of a “self insured retention” or “SIR” amount. For example, the company will set aside a certain amount of “reserves” each year to pay claims for bodily injury related to incidents such as slip and falls or other similar occurrences. If the injuries are so significant or severe that the injured party’s claim will exceed that threshold amount, an “excess” policy may be invoked to cover the loss. Insurance carriers will rarely, if ever, disclose the full amounts of coverage including umbrella policies. This will usually require “formal discovery” by way of “interrogatories” (written demands for information), subpoenas or demands for document production after a lawsuit is filed. All of this takes the skill and expertise of an attorney familiar with both the civil procedure necessary to obtain the information and the ability to interpret coverage upon discovery of this information. This is yet another reason to always hire an experienced injury lawyer to assist in any serious accident claim where the costs of present and future medical expenses, lost earnings, pain and suffering and other damages may reach into the hundreds of thousands or million dollar plus range.